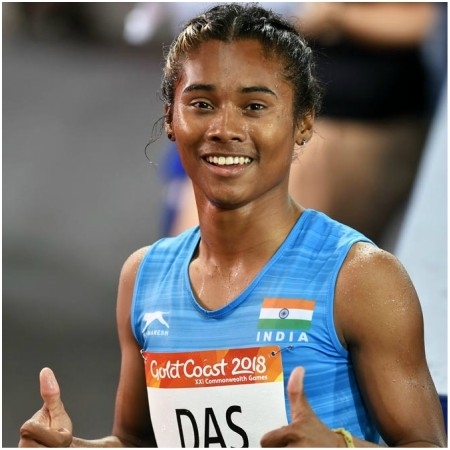 Mumbai, February 6: It always seems impossible until its done… So work hard and reach your goals… says one of the best athletes Hima Das as The Forbes India has released its sixth edition of ‘Forbes India 30 Under 30’ list featuring 30 young achievers in various fields like, sports, entertainment, marketing, entrepreneurship, etc. Cricketer Smriti Mandhana, athlete Hima Das, actor Vijay Deverakonda are among the names that have made it to the list this year. The 2019 ‘Forbes India 30 Under 30’ list includes 30 honourees across 16 categories. This year categories like industry, manufacturing and energy; advertising, marketing and media, and agriculture have been introduced. One, interviews by the Forbes India team with sources across relevant categories as well as through studies of databases and media coverage. Two, inviting applications on forbesindia.com from, or nominations of, entrepreneurs and professionals who fit the criteria. Three, spreading the word on social media. With this, the Forbes India team arrived at a longlist of over 300 names across 16 categories. The list was further shrunk to 175 and finally the top 30 were selected.